If you think that glitter is just for scrapbooking and paper projects, it's time to expand your horizons! 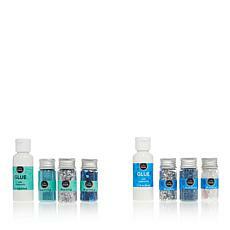 This wonderfully fun and colorful product is excellent for a variety of crafts and DIY creations. 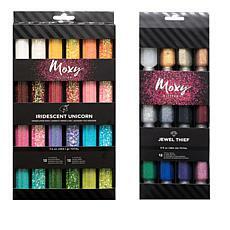 Get a pack with dozens of colorful glitters, or choose between chunkier and extra fine cuts of glitter for your arts and crafts. Art glitter is perfect for paper crafts, so pick some up along with colorful stickers to decorate scrapbook pages, or get a few packs and some paper to make your own cards and signs to celebrate an upcoming holiday or party. You can also use glitter to brighten everyday household items, such as votives and vases. Some people even get extra creative and decorate their phone cases using glitter. If you have a pair of shoes that seem a bit lifeless, you can dress them up using a glitter pen to draw precise lines. Craft glitter is also perfect for adding some sparkle to kitchen magnets. Another popular idea is to get some festive ribbon and glitter and make your own ornaments. 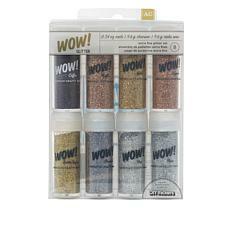 Glitter has hundreds of uses, so sprinkle a little or a lot to make any art project snazzier!